Daptone Records has released the final album from the ‘Screaming Eagle of Soul’. In the space of a year the soul community lost two of the modern greats, Sharon Jones and Charles Bradley to cancer, both of whom were signed to Daptone Records. Jones, the label’s most successful act and one of the artists at the forefront in modern soul, died in November 2016 after a lengthy battle with cancer. She was originally diagnosed with cancer in 2013 but treatment was initially successful. But the cancer returned in 2015 and underwent chemotherapy again. Although hopeful, Jones suffered a stroke watching the US presidential election results in 2016 and died a few weeks later. Then, if things weren’t bad enough, Charles Bradley was also diagnosed with cancer. Charles was riding high in 2016 with the release of his third album, Changes. The album was a superb effort, featuring some of Charles’ best work. The title track, a cover of the Black Sabbath hit, was transformed into a soul classic, given extra poignancy as Charles’ dedicated it to his mother who died a year earlier. Sadly, while promoting the album on tour in the UK, Charles developed intense stomach pains and was subsequently hospitalised. He was diagnosed with stomach cancer and underwent treatment. He seemed to be on the mend, announcing a new tour in 2017, but the cancer returned. In a statement at the time, it was revealed it has spread to his liver. He died aged 68 in September 2017. Life was never fair to Charles. He grew up poor in Gainesville, Florida and his mother abandoned him when he was 8 months old. Later, when Charles was 8, his mother re-entered his life and he moved to New York, where his sister would take him to see James Brown at the Apollo in Harlem. It wasn’t long before Charles, who shared a resemblance with the Godfather of Soul, began mimicking his act. A love of music didn’t hide the fact that life didn’t get any easier for Charles in New York. He was still poor and without hope of a decent future. Frustrated, he decided to run away to escape and eventually wound up in the Jobs Corps and trained to be a chef. His colleagues too noticed Charles’ similarity with James Brown and encouraged him to sing. Yet, a career in music was limited to impersonating Brown at night, while working as a chef during the day. After spending the best part of 2 decades working across America in odd-jobs and doing small scale James Brown tribute shows, where he would use the name “Black Velvet”, he returned to New York in 1994 after receiving a call from his mother. He continued to work odd-jobs and performing his “Black Velvet” show impersonating James Brown. He drew the attention of Gabe Roth, the founder of Daptone Records, around 1999 but it wouldn’t be until 2003 he met his future producer Thomas Brenneck. It would take a further 4 years before Charles released a single under his own name, the heart wrenching ballard ‘Heartaches and Pain’ (in which he recalls his brother’s murder) and ‘The World (Is Going Up in Flames)’. His debut album, No Time for Dreaming, was released to critical and commercial success in 2011. A year later a documentary, The Soul of America, was released which followed Bradley as he prepared the album’s launch party. An uplifting film, it showed Charles finally living his dream, touring alongside Sharon Jones and putting the final touches on his debut album. It was also deeply moving, as it followed Charles learning to read (he was illiterate for most of his life) and caring for his frail mother. The album was instant success, becoming a modern classic. Two more albums followed, Victim of Love in 2013 and Changes in 2016. He gained a reputation for his energetic live shows, where he’d sing, scream, shout and holler, dancing across the stage, hugging the crowd and giving roses to the ladies in the audience. Then, at the peak of his career at 68, cancer took him. Saddened by his death, it took Brenneck a while to revisit his work with Charles. But, after going through old tapes and recordings, Brenneck and Daptone have compiled a fitting farewell album, Black Velvet. The album is compiled of tracks Charles recorded in the past decade or so, including outtakes from his three albums. The album title itself is poignant. As “Black Velvet”, Charles was able to temporarily escape his unforgiving life: the poverty, the tragedy and the heartbreak. Yet, even though it took decades to realise, he did for a time live his dream. He became an iconic figure in soul music, following in the footsteps of his musical hero James Brown, but without the need to imitate him. In a sense, the Black Velvet album completes the circle of Charles’ music career. Posthumous album releases, without care and attention, can often be an exercise in disappointment and frustration. Most times, material is released that is substandard at best and if the artist were alive, wouldn’t dare release. Take Michael Jackson’s first posthumous release, Michael. Quite frankly, it was 2010 was appalling. The second album, Xscape was thankfully better. Similarly, Marvin Gaye’s Dream of a Lifetime and Romantically Yours, culled from unfinished tracks and outtakes, were poor attempts to cash in on the singer’s legacy. Thankfully, Daptone have proved that they’re more interested in the legacy of their artists rather than the cash. The final album from Sharon Jones last year, Soul of a Woman, was completed after her death. It’s a stunning final album from one of the great, modern soul singers. And with Black Velvet they’ve done it again. It’s an excellent, touching farewell to the ‘Screaming Eagle of Soul’. The album opens on a piece of hot funk, ‘Can’t Find The Feeling’, featuring Charles’ trademark screams and growls, backed by the incredible Menahan Street Band. The funk continues on an epic duet with LaRose Jackson on ‘Luv Jones’, one of the album’s many highlights. Although illiterate for most of his adult life, Charles, with the help of Brenneck, was able to translate his feelings and experiences into songs. Take ‘Fly Little Girl’, it’s a story from Charles’ own life, when he forced his niece out of his home after a disagreement. Even though the relationship ended badly, Charles can still find something positive in it. ‘(I Hope You Find) The Good Life’ is perhaps the album’s best cut. It’s a slow, poignant number that speaks of desperation. Charles’ spends half the song delivering a monologue, the other half singing, as he bids farewell to a women. The song cleverly features a verse from Barbara Streisand’s ‘The Way We Were’, although in Charles’ hands it assumes a deeper meaning. Charles ability to find deeper meaning also stretches to his covers. Previously, the transformation of ‘Changes’ was the centre piece of his last album. Perhaps not as significant, but nonetheless still enjoyable, are the three covers on Black Velvet: Neil Young’s ‘Heart of Gold’, Rodriguez’s ‘Slip Away’ and Nirvana’s ‘Stay Away’. They’re all given the Charles Bradley treatment, and on the latter Charles undoubtedly channels James Brown (or perhaps himself as ‘Black Velvet’). The album’s last song, a re-worked “electric” version of ‘Victim of Love’, taken from his second album, is perhaps the perfect finale for Black Velvet. While the band play superbly, the horns in particular are a delight, it’s Charles we’ve come to hear. 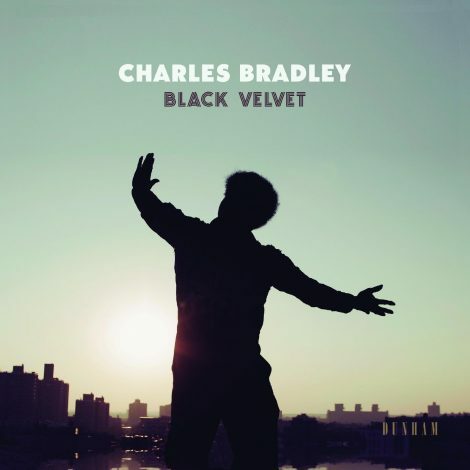 Unless Daptone have any more material lurking, this is the last we’ll get from Charles Bradley. It’s a beautiful and moving farewell to one of the modern greats, a man who tried so hard to make it and who only briefly enjoyed his well-earned success. Perhaps that what makes Black Velvet both enjoyable and saddening. Despite these songs being essentially B-sides, Charles nevertheless gave his all and managed to create something worthwhile. In his short recording career Charles gave us some brilliant music and it’s sad that he wasn’t able to enjoy his success for longer. Comparisons to James Brown are frequent, but by all accounts Charles Bradley was a much more personable and loving character than the fiery Godfather of Soul. His warmth comes across on Black Velvet just as it did on his previous releases and in his live shows. Like Sharon Jones before him, Charles will undoubtedly be missed.